“When I grow up, I want to be a CIO”, said no child...ever! Fireman, policeman, doctor, just about anything...but not CIO! All Paul Chapman knew was that he wanted to work in an office. As child growing up in the UK, his grandfather would take him to the Port Authority. There he was surrounded by big office buildings and he knew, one day, he wanted to work in an office building just like those. I had the opportunity to serve on a discussion panel with Paul several years ago at VMWorld. He was the VP of IT for VMWare at the time. We have stayed in touch through email, LinkedIn and Twitter as Paul moved from VMWare to HP to Box, where he currently serves as their CIO. As I read his recent blog post, “The Pain of Change is Mandatory - it is the suffering that is optional”, I knew he would be perfect to include in this series. Jeff: Paul the visual of you and your grandfather visiting the ports conjures up images of Dickens’ London. I know neither of us are THAT old! You describe the office buildings, what about them captured your attention? Paul: Well, it wasn’t quite like Dickens (chuckle). I didn’t really know what I wanted to do. I just knew I wanted to work in an office. My dad was an auto mechanic, and a darn good one, I knew I did not want to work with my hands like he did. I wanted to work indoors, in more of a white collar setting. Jeff: Given that, how did you discover computers? Paul: ...that is interesting. the price, the functionality, the community that built up around it? At the time, you could buy all sorts of magazines that had the program code for various games and other applications printed on the pages and I would spend hours typing those programs into my computer. The thrill of watching it run (after debugging typos) got me really hooked. When I graduated from high school, I knew I wanted to go into Computer Science. You basically had two choices at the time: computer operator or computer programmer. I chose programming. 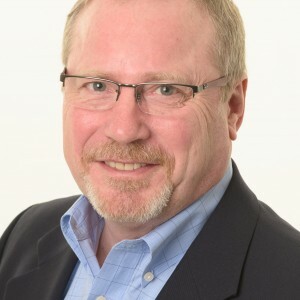 Jeff: I find with many CIOs, they have had to make a choice at some point in their career to leave the technical behind and focus more on management. In fact, in the presentation you shared with me (via Box, I might add), has a great chart showing the decline of “task orientation” and the rise of “social orientation”. Paul: That’s right, Jeff. I found I have a real passion for people and the people aspects of the job. I think early in your career you can bounce around the IT landscape and between being a manager and individual contributor. Your first step is usually a tech lead or a supervisor. At this stage you are generally able to continue to maintain the technical stimulation that got you into IT in the first place and in addition, take on broader responsibilities at the same time. I think the pivot point for transition is when you become a manager of managers. At that point, your responsibilities and span of control is broader and you can no longer continue to be the expert in everything and you need to trade off some of the deeper technical domain expertise to support more leadership responsibilities. Managing a larger organization and through people changes the dynamic of how you operate and achieve results. I love the wisdom of the crowd and solving problems as a team. It was the realization that I truly enjoyed the output of a team that led me to continue to build my leadership style, eventually leading multiple teams across the globe. I find the process of leadership development to be very iterative. Constant change is today's steady state and as IT professional’s we have to be constantly reinventing ourselves to stay relevant an aspect of IT that I really enjoy. Jeff: When did you know you aspired to become a CIO? Paul: For me, it was a confluence of several things. When I started my career, the title CIO did not really exist. The role was Data Processing Manager. As the importance of technology in business grew, so did the role. The role encompassed more and more responsibilities and I saw the role fit very well into my desire to stay in technology but broaden my experience to how businesses run, Sales, Finance, Marketing etc. T he CIO knows a lot about how the entire end-to-end business is run and how technology can enable the business to run even better. Very few roles have that to offer. In fact, my advice to anyone aspiring to the CIO role is you have to be able to re-invent yourself. I know I have said that a lot during our conversation. But to me, it is a key trait. Yes, you have to put in the sweat equity of being technical and obtaining domain expertise. But then you have to be willing to give up on that knowledge, to give up being the expert. For me, in fact, the Path to CIO that you write about, the path forward can only be achieved by the willingness to let go and give up in order to focus on obtaining those next set of experiences. Jeff: Thinking back over your career, what are some key discoveries about yourself? Paul: I’ve actually thought a lot about this. I think there are two. First, how you deal with unfairness, lack of appreciation and things that knock you down as you build your IT career. When you are knocked down, figure out why the outcome was the outcome and what to do differently next time. You should internalize and learn more from the negative experiences than the positive ones and you should not reason away the experience to feel better in fact there are no negative experiences only learning experiences. The second discovery I made is there are a lot of things you can do to build your career that require zero talent: Being on Time; Work Ethic; Effort; Positive Body Language; Energy; Positive Attitude; Passion; Being Coachable: Doing Extra; Being Prepared. None of those take talent. They only take effort. Jeff: (Author’s note: As I write this on June 4, 2016, I referenced Paul’s presentation where he points out the things that require zero talent. The photograph he used was that of the great Muhammad Ali. I note this because of his passing on June 3, 2016.) Paul, your recent blog post on LinkedIn about the pain and suffering of change (“The Pain of Change is Mandatory - it is the suffering that is optional”) has some great lessons for leaders from all industries, not just technology. I especially liked the “inflection point” of how a leader spends his or her time. 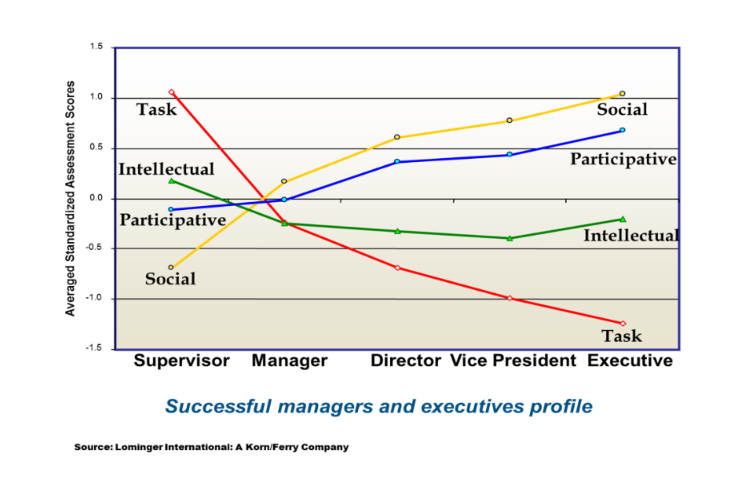 How were you able to make the transition for task oriented to social and participative? Paul: It’s about the power of the community. You cannot rise to the level of CIO and be insular to the community in which you rise. You must be engaged: social, participative...externally involved. Most technologists are introverted by nature. They are internally focused; I know I was. You have to become comfortable with being uncomfortable. If I had to get up in front of 1,000 people 10 years ago, I would have been Jello. I forced myself to be comfortable in uncomfortable situations. It is not my nature. But to be a CIO, You must be involved outside your department, you must be involved outside your business, in the broader technology community. THAT is where you learn and grow and find new ideas. It goes back to team, in some sense, you are on a team that is broader than your department and company, you are on a team in the technology community and the business community and you have to participate in that team. Jeff: I know through your blog and your presentations, this concept of change and managing change is core to who you are as a leader. What advice do you have for someone reading this who may seek to become a CIO in 5 or 10 years, what will they need to know? Paul: If you were to place your resume in a drawer today and take in out in a year from now will it have positively changed in any way? To increase your personal market cap and ability to compete for future opportunities you need to be positively changing up your resume year-over-year. In order to do so you need to be doing meaningful work for a meaningful company and if either of these is not being met then it is time to be looking at doing something else. I always caution don’t run away from something, always run towards something. One of the biggest career mistakes you can make is to run away. The grass is not always greener. Run towards something. Continue to add experience. Continue to learn and grown. Continue to seek meaningful work, year over year. I also urge patience. There is no fast track. This role requires experience. In martial arts, I love the fact that a Black Belt is traditionally a dirty White Belt that has gotten dirty during the years and years of training, the years and years of getting knocked down and then getting back up. Take the time to master the basics. Give your career 110%, start to finish. Many people see their careers take off at a fast pace and then slow down, so they get impatient and frustrated. Patience, is key. Great advice from a great leader. I recommend you follow Paul’s Blog as well as his tweets. You will learn a lot about the world of technology, but more importantly the world of leadership. Find him on LinkedIn or Twitter.